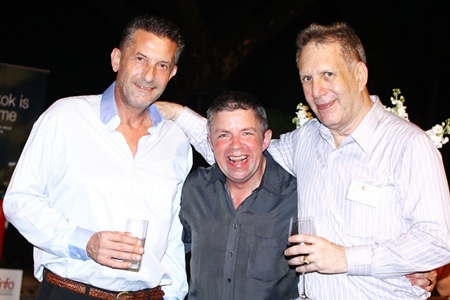 The grounds of the British Embassy in Bangkok were rocking to the sounds of Blur, Amy Winehouse and the Rolling Stones March 21 for the annual Lifestyle and Garden Party with a classic shinning red E-Type Jaguar as the centerpiece of the party. This event, which made a welcome return last year, was very well attended, with a host of familiar faces from the Eastern Seaboard such as Graham MacDonald MBE, Joe Cox from Defense International Security services, Cees Cuijpers from Town & Country Property and many more. 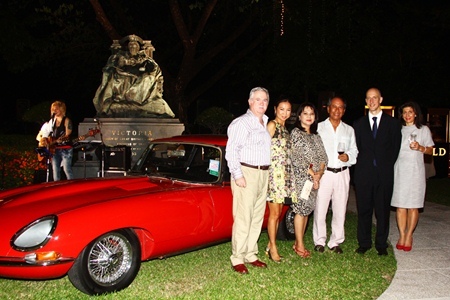 British Ambassador to Thailand Mark Kent (2nd right) joins friends around the centerpiece of the party: a classic E-Type Jaguar. The theme was best of British and to add to the atmosphere of great British music played by the dynamic Thai band: Earth Collide, there was a range of drinks by the various sponsors such as British beers by the Danmark company Ltd., whisky, bubbly and brandy from Diageo, Moet, Hennessy and the perfect gin and tonic compliments of Bombay Sapphire. 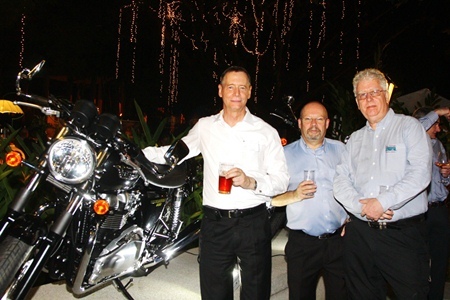 British Ambassador to Thailand Mark Kent made a brief yet warm and friendly speech welcoming the guests and remarked about the E-Type Jag and the Motorbikes on display courtesy of Triumph. 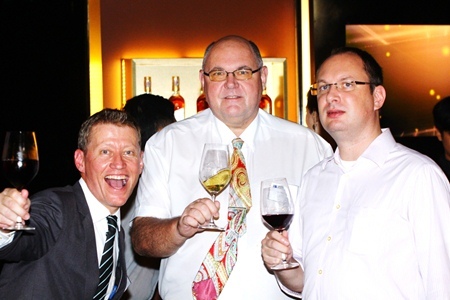 Other sponsors for the event included Qatar Airways, Asia west, TOPS market, Magnum ice creams, Twinings Teas, Grand Hyatt Erawan Bangkok, Land Rover, SDL and three international schools, namely Harrow, Shrewsbury & KIS. 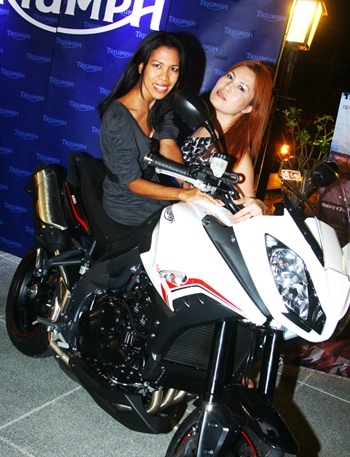 The Triumph motorcycle is a big hit with the male party goers. 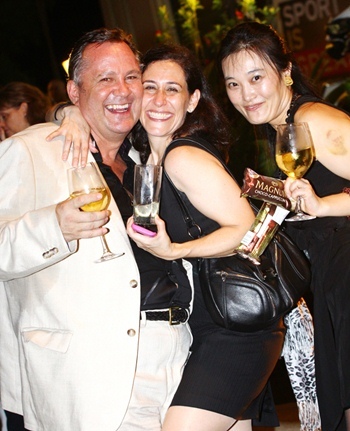 If the white wine didn’t cool you down, Magnum ice creams did the trick. Previous articleHave you heard of disposable suits?